The music festivals are coming! While the lineup of festivals is ever changing (we've lost several in recent years, but gained more), one thing is for sure, there is something for everyone and TONS to choose from. Here we break down the festivals for you: dates, locations, lineups, and any big info you need to know. As the festival lineups are announced, we'll continue to add to this list! They'll be in chronological order, and we'll take down the festivals after they happen - so that you can plan your summer weekends accordingly. Bookmark the page, and check back often! Who Is Performing: Many names you may (or may not) recognize, like Macy Gray, Robert Plant, Dirty Projectors, and loads more. What Do You Need To Know: There are ticketed events throughout the festival and free concerts at different locations as well, such as David Lam Park, and Granville Island on Canada Day! Click here for the schedule. Who Is Performing: Bif Naked, Frazey Ford, Slow, and just about every Vancouver band you can imagine. What Do You Need To Know: Once again West 4th Ave will be shut down for the day for the ultimate street party, including several stages and live bands! Who Is Performing: Neko Case, Art Bergmann, Skye Wallace, Iskwé, Dawn Pemberton, Grant Lawrence... just to name a few of the hundreds of bands. What Do You Need To Know: Three days across three months the parking lot in front of the Red Truck Brewery will be once again transformed into a festival site. It's 19+, definitely wear some sunscreen, and go in with a full belly (there are food trucks but better to have those for snacks than drink on an empty stomach)! Who Is Performing: Too Many Zooz, Keys & Krates, Reggie Watts(!!! ), Louise Burns and loads more! What Do You Need To Know: Taking place in the backyard behind Phillips Brewery (hence it's name) this weekend festival in Victoria is always a lot of fun. What Do You Need To Know: This arty festival is a little gem that I always here the bands that perform rave about. Another great festival to disconnect at! What Do You Need To Know: The Blues & Roots fest lands smack in the middle of August, so the weather should be good at Deer Lake Park, which is one of the most beautiful venues Burnaby (and Vancouver) has to offer. Who Is Performing: K-os, Yukon Blonde, Suuns, We Are The City, Bad Pop, Brasstronaut, Hannah Epperson, and so many more! What Do You Need To Know: The journey out to Rock Creek might be the best destination festival looking at the lineup! Plus there's a bus pass so you don't even have to do the drive yourself! What Do You Need To Know: This hybrid hip-hop and R&B festival returns to the waterfront of New West this summer, showcasing local and international talent. They have single day as well as 2-day ticketing systems available! Who Is Performing: The Killers, Metric, Arkells, Father John Misty, Chromeo, Bahamas, basically half of the Vancouver music scene...just look at the graphic above! What Do You Need To Know: This is a brand new festival for this year, so we don't have much intel on it, however, we've gone to festivals in Stanley Park in the past (Vancouver 125th Birthday) and be ready to walk, both in and out of Stanley Park. Back during the Summer Live event there were shuttles and bike lock ups, but there are SO many people that it's easier to just walk back to downtown. 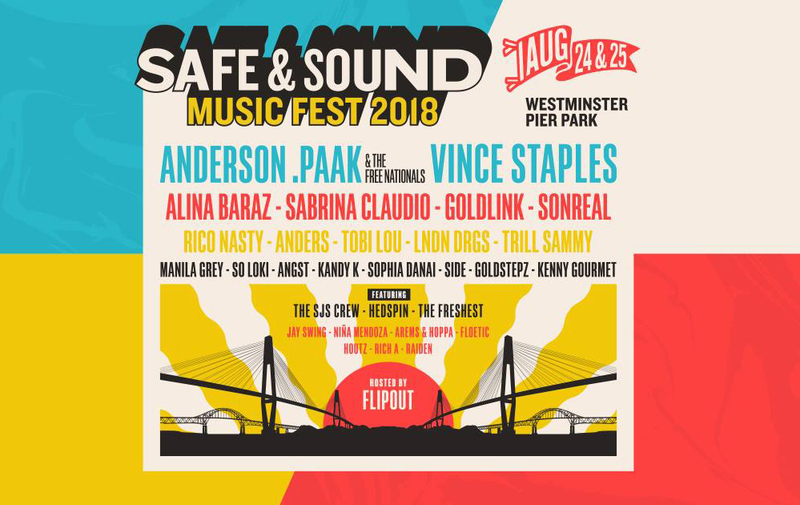 Who Is Performing: Daniel Caesar, Adventure Club, Current Swell, Lights, Fucked Up, The Zolas, and a lot more! What Do You Need To Know: The festival that usually wraps up the season is back in September, with both it's daytime outdoor concerts, and evening venue concerts. It consistently has a great lineup, so keep an eye out and then book your accommodations! Who Is Performing: Andy Shauf, Chad Vangaalen, Poppy, METZ, Odds, We Are The City, Hannah Epperson, Jordan Klassen, Milk & Bone, Close Talker, Louise Burns, and more! What Do You Need To Know: Returning for a second year, Westward is Vancouver's answer to Rifflandia, with several venues across the city hosting bands from all over to end off the summer festival season right. Just look at that lineup! Who Is Performing: SO many local bands. Check the poster above or the website! What Do You Need To Know: The annual volunteer-run celebration of local music, art and comedy is ramping up to its 25th year of supporting local artists and independent culture. Music Waste will host 80 bands at over 20 venues -- and it still costs only $20 a pass.